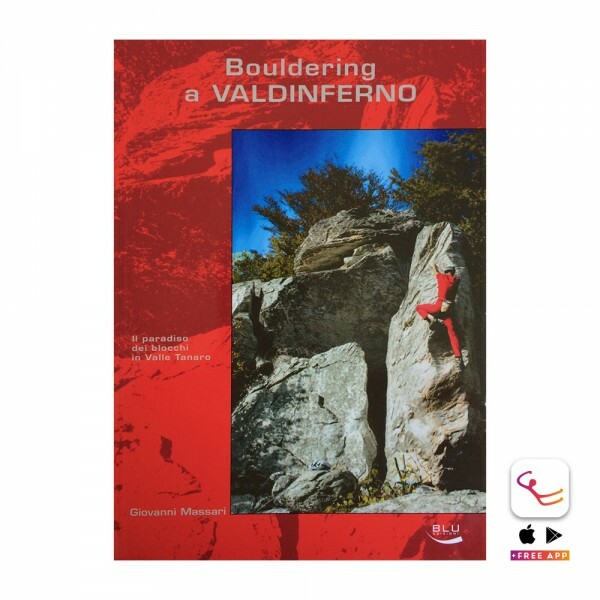 Product information "Bouldering in Valdinferno"
This guidebook contains more than 350 boulder problems, thus providing lots of possibilities for beginners and pros. The area is located close to the Ligurian Coast and just a 50 km drive away from famous Albenga. Amidst untouched nature with alpine flair on 1200 meters a.s.l. bouldering is possible all year round, especially in winter thanks to the orientation towards the south. The guidebook is divided into three chapters: Alto, Medio, Basso, although the various areas are situated closely to each to other, so no long walks needed to change crag. Every chapter features all the necessary information as well maps and short glimpse back in the history of climbing in the area. On the first pages of the guidebook you will find a list with the most important terms and their translation in Germand and English, so there should be no problems with understanding the otherwise entirely Italian text. Related links to "Bouldering in Valdinferno"
Customer evaluation for "Bouldering in Valdinferno"